Reacting to the post, the Supreme Court-appointed CoA sought an explanation from Johri without specifying any timeline for its course of action. NEW DELHI: The #MeToo storm hit Indian cricket on Saturday with the Committee of Administrators (COA) seeking an explanation from BCCI CEO Rahul Johri for an anonymous account of alleged sexual harassment by him that came up on social media. The allegations by an unnamed person, who claimed to be an ex-colleague of Johri at the Discovery Channel, were posted on Twitter by an author, Harnidh Kaur, who later stated that she did not want the charges published nor her name used in the context. Johri, who has so far not reacted to the charge, worked in various positions with the Discovery channel from 2001 to 2016 before taking over as the BCCI CEO. Responding to the post, the Supreme Court-appointed COA sought an explanation from Johri without specifying any timeline for its course of action. "The reports disclose allegations of sexual harassment made against Mr. Johri, by an unnamed person through a twitter handle. The allegations also relate to his previous employment with a large media house," said the COA statement "Though, the said allegations do not pertain to his employment with the BCCI, the Committee of Administrators of the BCCI has deemed it appropriate to seek an explanation from Mr Johri in relation to the allegations. "He has been asked to submit his explanation within a week. The future course of action will be considered on receipt of his explanation," it added. Kaur later tweeted that she did not want any of the incidents that she detailed on her Twitter timeline to be published. "ALL press. Do NOT quote/mention/link my tweets, name me, or take screenshots for publication. The survivor wants her privacy respected. So do I. If you mention us now it will be in violation of this very specific request," she tweeted. Johri is scheduled to be the BCCI's representative at the ICC's Chief Executive Committee meeting between October 17 and 18 in Singapore and the COA said it won't stop him from attending. "We have not taken away functional powers till he submits his explanation and the legal team analyses it," COA chief Vinod Rai told PTI. ESPNCricinfo reported that allegations of sexual misconduct against Johri were brought to the BCCI's notice in 2017 as well. But Johri denied the charge at the time, calling it a lie, an assertion that the Board accepted, according to the website. 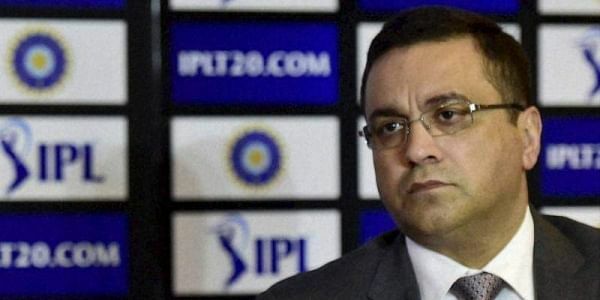 Johri, believed to be in his late 40s, became the first CEO of the cricket body after its administrative structure underwent a revamp owing to the Lodha Committee recommendations. A media veteran before joining the BCCI, Johri was associated with the Discovery channel's South Asia operations for 15 years. He has also been a member of various committees in business organisations such as the FICCI and ASSOCHAM. The #metoo movement in India began with Bollywood actor Tanushree Dutta accusing veteran actor Nana Patekar of sexual harassment. Subsequently, several public figures were accused of sexual harassment by women. The list includes journalist-turned-politician M J Akbar and filmmaker Sajid Khan among others.